Bit by bit, the HTC One M10 is coming together, and today there are two more of pieces of the puzzle. For starters, the name One M10 has been confirmed, unofficially of course, sending HTC's flagship line into double digits. The name was dug up in the drop-down list of devices in an HTC online survey form. Moving on, we get a camera sample to try and judge just how compelling the shooter is. It's a single shot, and a dirty keyboard isn't the most exciting subject matter, but it does seem to resolve plenty of detail in the letter markings and grime between the keys. That is, where it's properly focused, because the wide f/1.9 aperture and near subject make for a pretty shallow depth of field. We do say "wide" and while it is an definitive improvement over the f/2.2 glass of the One M9 , HTC is still playing catch-up with main rivals - the LG G5 has an f/1.8 aperture, while the Samsung Galaxy S7 is even brighter at f/1.7. It is on par with Samsung's offering in focal length though, with a generously wide 26mm equivalent, but in this respect you can't really compete with the G5 and the super-wide half of its dual-camera setup. The image is shot in 16:9 aspect and has a resolution of 2,250 x 4,000px. In 4:3 aspect it would make for a 3,000 x 4,000px 12MP image, right in line with previous rumors. 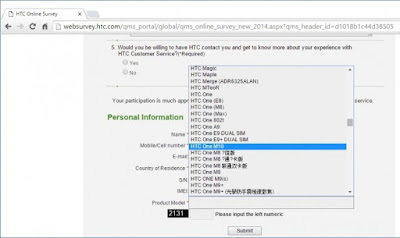 For all we know, the HTC One M10 will be announced on April 11, and while all of the above looks believable, we'd hold off on buying decisions until it's official.